My husband is out of town this week. Either I’ll bake everything under the sun, or be too busy to post. I’m not sure! It will probably depend on if I get a part in “South Pacific” that I auditioned for yesterday. I’ll be depressed or elated. Only time will tell…. My mom taught me to make tacos by adding packets of stuff from the store to ground meat. Out on my own and trying to make more things from scratch, I made a taco seasoning based on the non-weird ingredients found in taco seasoning packets and posted it here. Recently, I started reading the “America’s Test Kitchen” book which goes through a few common, popular and solid dishes that people like to make. Taco seasoning packets always make you add water to the meat with the seasoning at the end. I never stopped and thought… water doesn’t add any flavor, so why use it? Exactly! “America’s Test Kitchen” solves this problem. Next time I might tweak some of the seasonings and add garlic powder and onion powder. But I really really like their method for cooking this dish. The rest: taco shells, shredded lettuce, chopped tomatoes, chopped cucumber, sliced avocado, sour cream, etc. 1. In a large skillet, turn the stove to medium heat and add the oil. Once hot, add the onion and cook until soft (4 minutes). Next, add garlic and spices (chili powder, cumin, coriander, oregano, cayenne and salt). Stir constantly about 1 minute. 2. Stir in the ground beef and cook until no longer pink. 3. Stir into the ground beef mixture: tomato sauce, chicken broth, brown sugar and vinegar. Simmer, not covered, for 10 minutes. Add salt and pepper to taste. 4. 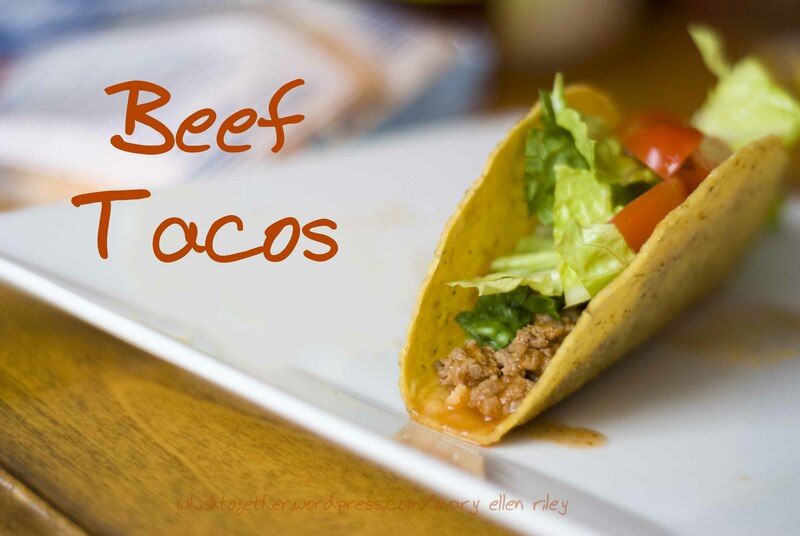 Include this in your favorite taco shells and top with toppings! I have almost always made my own seasoning mix because I like to control the salt content. I don’t think anyone can really overdo it on salt if you cook at home and avoid processed foods. But the packets and frozen foods really pack a punch. I do love those little flakes of flavor in the Ole Paso packets though.